Hong Kong Express may have been around for a while now, but it is finally pushing itself away from Hong Kong Airlines who until just recently shared an almost identical livery. 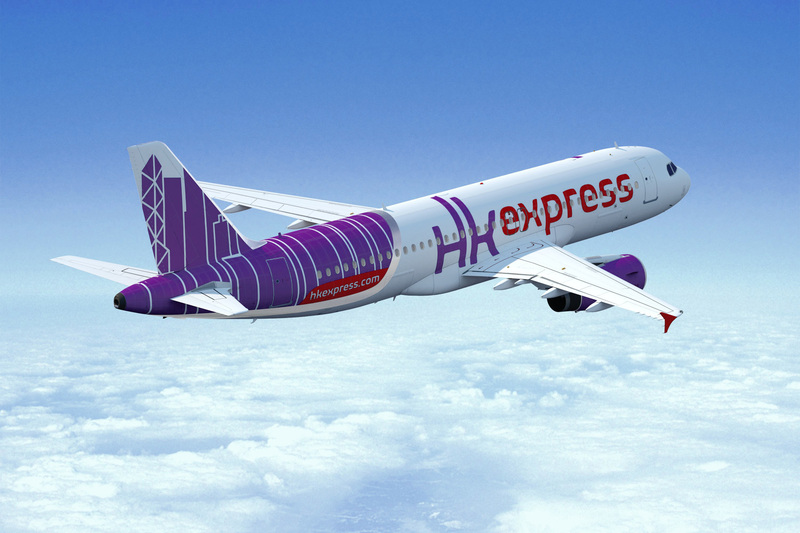 As Hong Kong Express pushes itself forward as a true LCC, it was time to shake off its previous image and embrace something new. The job of forging this new look fell to fellow judge, Daniel Baron of LIFT Strategic Design, a Tokyo-based airline brand and cabin design consultancy whom we covered recently regarding their work for Skymark in Japan. “We are immensely honoured to be working with HK Express on this exciting program, with a fresh look that will solidify the airline’s position as Hong Kong’s hometown low-fare airline” said Daniel Baron, owner and managing director of LIFT. But this isn’t just about a livery alone. LIFT’s program includes brand identity, aircraft livery, cabin interior design and collaborative design of new uniforms for the Hong Kong-based airline. According to LIFT’s press release, “The new logo and livery for HK Express celebrate the energy and can-do spirit of Hong Kong through its unique skyline. Across the world, even people who have never been to Hong Kong can instantly identify its skyline. I wanted to leverage that awareness. At the same time, other LCCs in the region have their sights set on Hong Kong, so it was important to visually position the airline as Hong Kong’s hometown low-fare airline,” said Baron. What of the design? 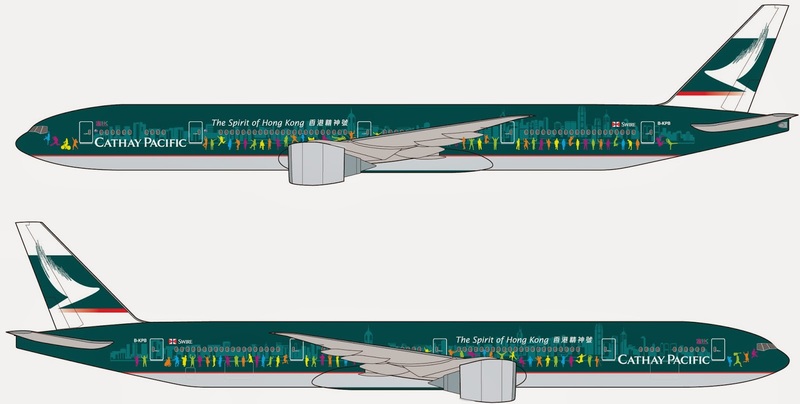 The aircraft livery design features the skyline on the tail, with left and right sides showcasing a different section. In the portion just forward of the tail, the skyline wraps around the top of the fuselage, while the logo rises high to appear as if touching the sky. The result is a bold, fresh identity that instantly communicates “Hong Kong” while differentiating HK Express from its sister Hong Kong Airlines. We have to agree, HK Express now has a bold and modern livery, and the concept of the skyline of Hong Kong is a nice touch. It is easily recognisable in picture postcards the world around, much immortalised in commercials and films. We like the bold colours, and contemporary typeface being used. 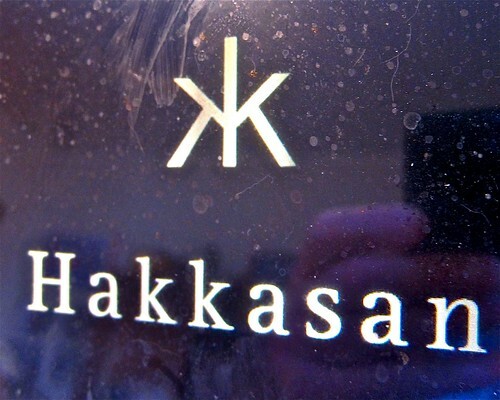 The HK treatment is nifty, and perhaps a familiar looking – a similar look to that of the Hakkasan logo and Hong Kong’s MTR (subway) logo. The weighting of the colour on the aircraft is also perfectly balanced, the aircraft feels keeled, (not overly weighted fore or aft) and the colours, red and purple not to the lucky and perhaps oversubscribed Chinese colour of red, but the purple nicely offsetting this. It will be interesting to see how the metallic ribbon will be executed on the aircraft too. The one element, and our only criticism for the livery, is the execution of the skyline. Whilst each side showcases a differing landmark tower, which are prominent in Hong Kong, the rest of the skyline starts as almost a barcode on the side of the aircraft, and whilst meaning to ‘reach the sky’ it means that space is limited to symbolise Hong Kong purely on the tail itself. 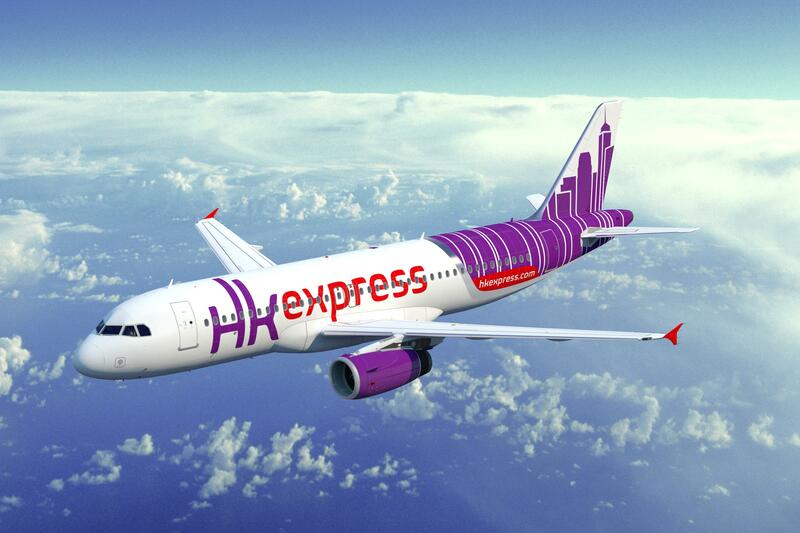 If the word HK Express was removed, it could almost be as if the graphic symbolises New York. Our only adaption would have been to rise the skyline from the fuselage section, upwards diagonally towards the tip of the tail, to help give the illusion of the steep rise that Hong Kong is built on, as it is this steep hill that Hong Kong Island has (see above), is it’s most iconic and easily identifiable feature. That said, it is this fresh approach to liveries, that already the internet forums are declaring is a step forward, that airlines such as Iberia can learn from in making an aircraft exciting once again. We look forward to seeing how the brand reaches out across the rest of the product, from interiors to uniforms.